The Federal Government has, so far, released over N460 billion from the 2018 budget for capital projects. 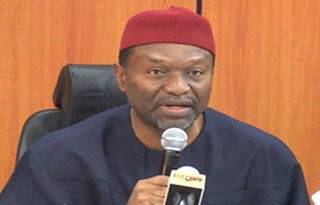 Minister of National Planning, Senator Udoma Udo Udoma, said this yesterday during an interaction with Nigerian journalists at the ongoing IMF and World Bank Group (WBG) Annual Meetings in Bali, Indonesia. “I don’t have the exact figure for the releases, but over N460 billion has been released for the 2018 budget,” he said. “The president has sent a request to the National Assembly to support borrowing for the 2018 budget. He said the Federal Government expects Nigeria’s Gross Domestic Product (GDP) to grow by 2.1 per cent this year. “Things are going well in Nigeria, not as well as we want to be, we are working hard to improve things. We are in stronger position than 2015,” he said. Minister of Finance, Zainab Ahmed, also said Nigeria intends to raise her stakes in Afreximbank. “Nigeria is a major shareholder in Afreximbank,” she said. “Part of the things we discussed is the possibility of increasing our shareholding and also, we discussed some of the programmes and projects Afreximbank is supporting in Nigeria. “Afreximbank has a very large portfolio in Nigeria; about 40 per cent of their portfolio is Nigeria. They provide support to the government, but largely to the private sector. Corroborating the Finance Minister, President of Afreximbank, Benedict Oramah, said Nigeria is still a major shareholder of the bank, although of recent, it has fallen back in terms of its relative position. He said the bank has more than $3.2 billion in Nigeria.